As we rapidly head into the end of a one year and welcome a new year, a lot of us are going to be looking for new ways to save money in our family budgets. 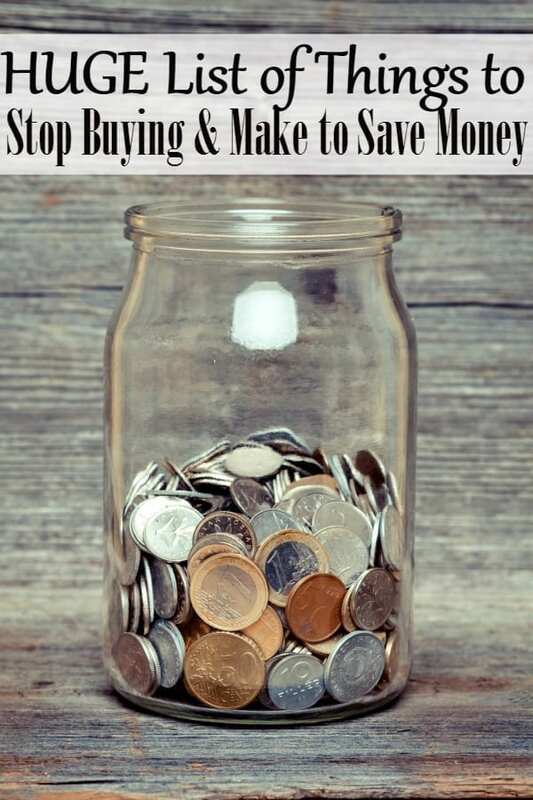 One of the best ways to save money is to stop buying and start making what you can. Back in 2014, when my family got into serious financial trouble, it was replacing the items that we bought on a regular basis with things that we could make homemade that really played a large part in setting our family budget upright again. We started with an initial list of 30 things we stopped buying and started making has now bloomed into a huge list of what we make! Most of us don’t realize just how much the things we buy on a regular basis can eat into our grocery budget. We constantly search for ways to save money on groceries, but we never stop to think that it may not just be how much things are priced at, but what we’re buying as well. Back before we became a society built on convenience, our Grandparents knew how to manage their money, but they also had a life filled with frugal skills that everyone should have. This meant that when it came to making what they needed, they did. If they couldn’t make it, they did without. Taking that same stance in our home really helped us to cut our household expenses and be able to boost our savings accounts. 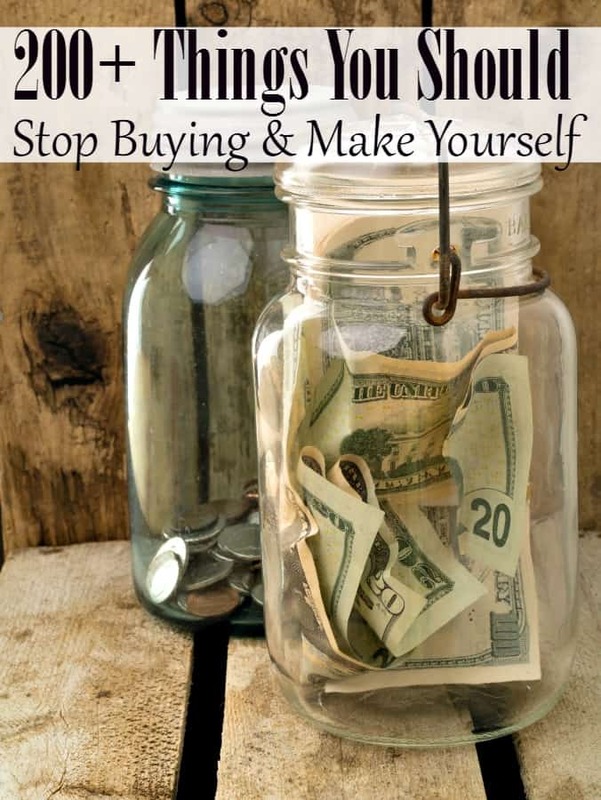 When I posted my original post that listed things you can stop buying and start making, it had such a huge response that I updated it with a second list. Over the past year, both posts have become two of our most popular posts ever. I know, what does that have to do with the price of eggs in China? 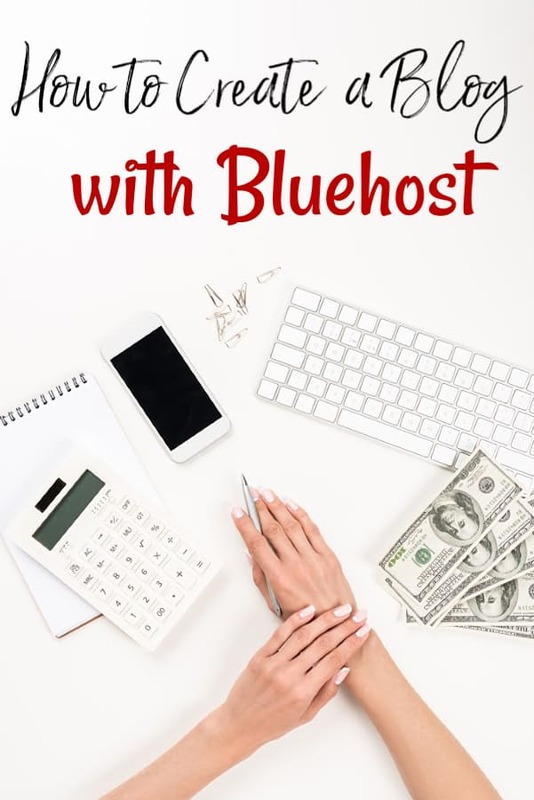 It made me realize that you, my reader, really do want to make more and buy less and that I needed to give you as much as I could on the subject. Which brings us to today and this post. I have scoured the net (okay, I scoured Pinterest) to put together an absolutely huge list for you!This huge list of things you can stop buying and make homemade is jam packed with things that I have hand picked just for this post. You’ll find everything from homemade cleaning supplies to homemade beauty. It includes copycat recipes so that you can skip eating out and DIY furniture plans. You’ll find homemade convenience food recipes and homemade pet products and more. It’s over 200 products that you can make at home and if you do? You will boost your savings account in ways like you have never imagined. If you don’t want to skip? Scroll on! This is a super extensive list! I can’t wait to try some of them! Thank you for making/putting this all together. I’m going to start at the top and work my way down. Wow! This list is impressive. I am going to save this to come back to whenever I run out of something and need to make more. Thank you for sharing these! This is an awesome list. Thank you for complying it. I try and grow a lot of me own fruit and vegetables with this list combined, it would be a massive saving.